Add all ingredients (except the Lemongrass) to a large sauce pot. Bring to a boil over medium heat. Stir. Reduce heat and simmer, covered, for 30 minutes. Remove from the heat, add the lemongrass, stir, and let sit (covered) on the countertop overnight. The next day, strain the liquid through a coffee filter into a 4-cup measuring beaker. (You will need to replace the coffee filter 3-4 times as it will clog up). Discard the solids. Make a note of the liquid’s volume and combine an equal amount of Rich Simple Syrup (2 parts sugar: 1 part water, boiled to dissolve). Stir and pour into clean bottles. Store in the refrigerator for up to 6 months. Yields ~6 cups. Throwing convention out of the window, we have created a delightful Tonic Syrup without quinine – the bitter element from cinchona bark that is traditional to all Tonics. Here we use the two most common bittering agents from Chinese Medicine (Gentian Root and Bupleurum Root) to create an incredible Tonic Syrup for your homemade Gin & Tonic. 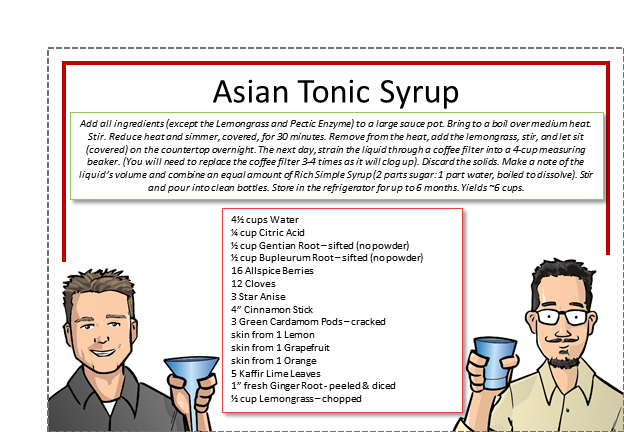 Check out our Asian Gin & Tonic recipe and video to see how we utilize this syrup to make a G&T like you’ve never had before. 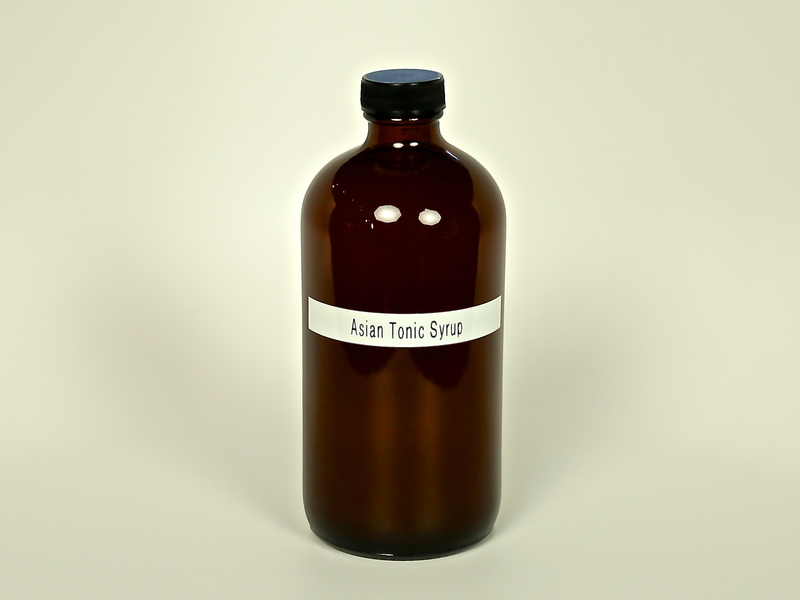 If you enjoy it, be certain to check out our other Tonic Syrups as well. Cheers!